We all wanted to share the Nachos with salsa fresca, chipotle sour cream, aged cheddar, monterey jack, feta and cilantro. 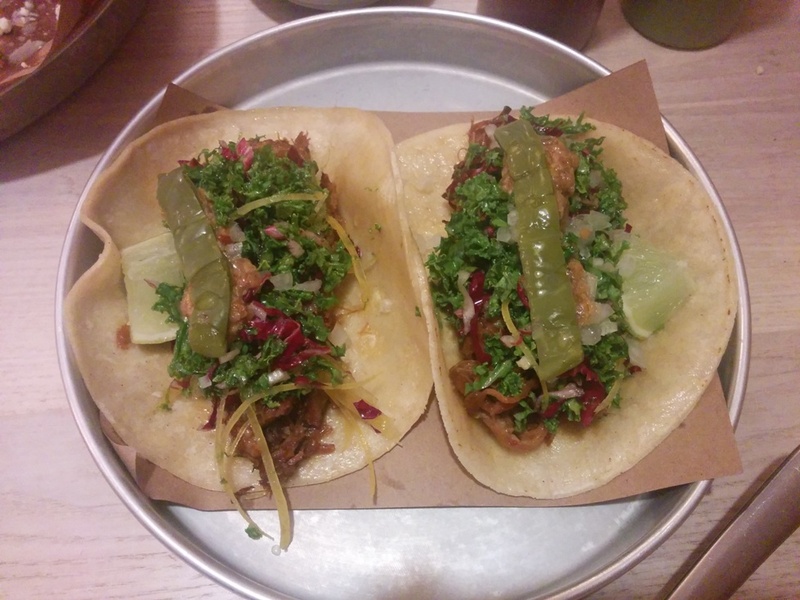 You can also opt to add chorizo or guacamole for an additional $4 each. Being the pigs that we were, we decided to add BOTH ($22). 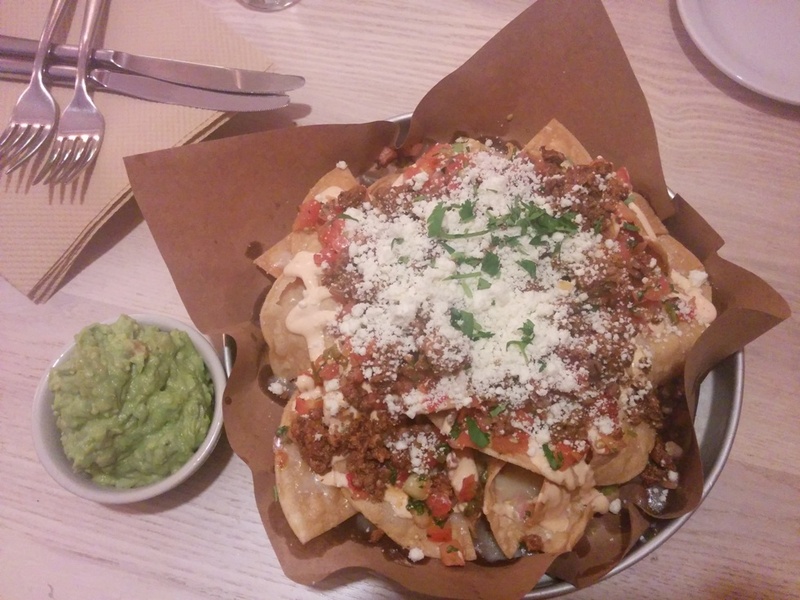 The nachos were really good! There were plenty of toppings and the size was perfect for sharing! I did find that it was a tad salty though maybe from the feta cheese? Otherwise, this was a hit! I’m sure they’re still good even if you don’t add chorizo and guacamole. All their tacos cost $6 which is more than I’d usually expect but they’re huge! 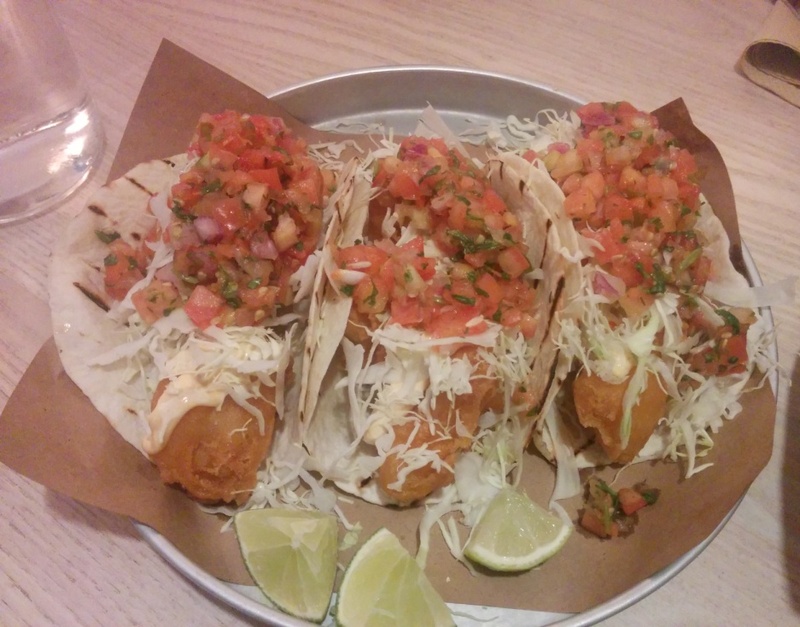 These are the Fish Tacos with pacific cod, salsa fresca and chipotle mayo. I didn’t get to try this but the verdict was that they were good! The fish taco is actually also available on the Burrito Bar side. 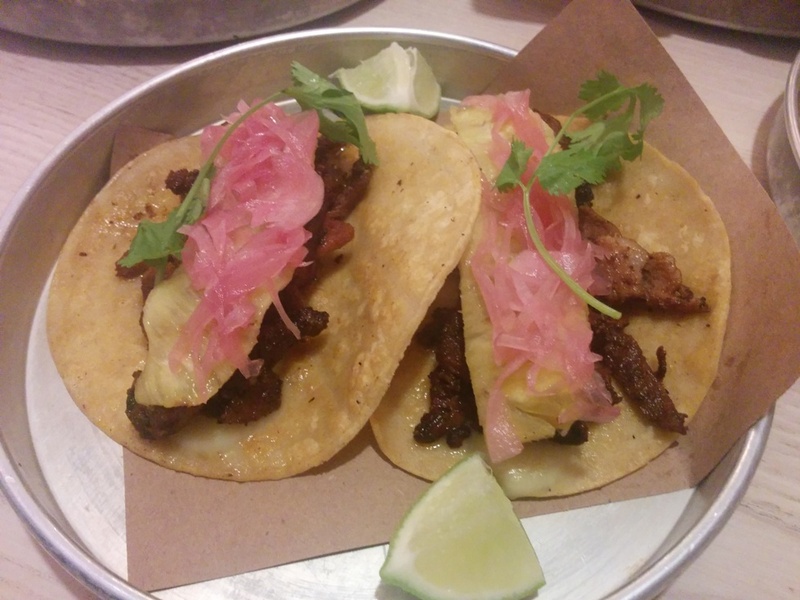 This is the Pork Al Pastor with pineapple, pickled onion and cilantro. I enjoyed the sweet flavour of the fresh pineapple chunks with the marinated meat. 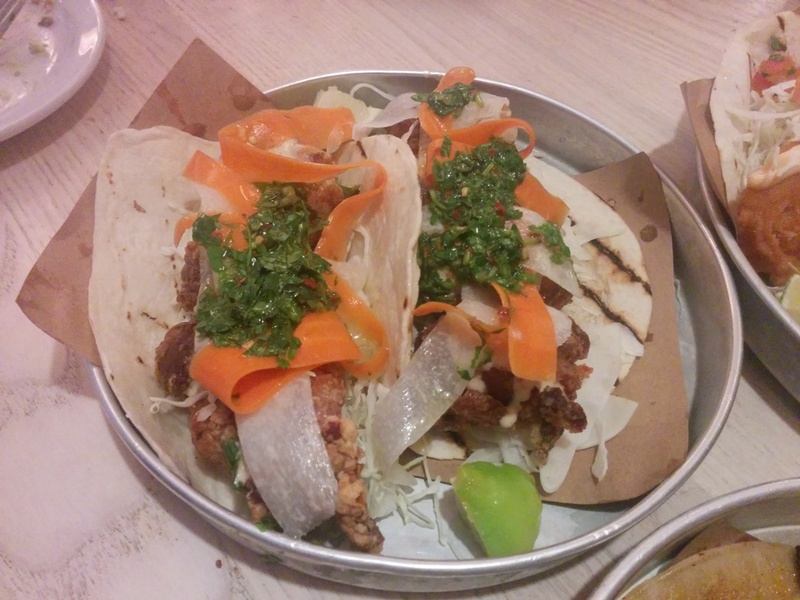 The Chicken Tacos have pickled vegetables, epazote chimichurri, buttermilk chili crema. I tried their Chicken Burrito before and really liked it because it had Japanese style fried chicken which was also in the taco! The pieces of chicken were nicely fried and so moist and juicy. This is the Lamb Birria with herb salad, arbol chilli, pickled nopales and preserved lemon zest. This was my least favourite taco since I just felt that the ingredients didn’t seem to go well together for me. Also, I didn’t quite like the herb salad on top. We each ordered two tacos and with the nachos we shared, it was filling enough for us! It was a very satisfying lunch and I would like to try their dinner menu too!